Pauline and Dorothy with Spartan G-AAGO. Copyright Michael Fahie. Those of you old enough to remember the days when a visit to the cinema included a black and white newsreel and a second ‘B’ movie before the main feature was shown, will recall the British Pathé News films. Each news film lasted for little more than a few minutes. Two or three films were sandwiched together to inform the film-going public of current events of the day. In its era, it was the equivalent of the television news of today. It covered everything, on an annual basis, from the Grand National Horse Race to the funeral procession of Sir Winston Churchill. 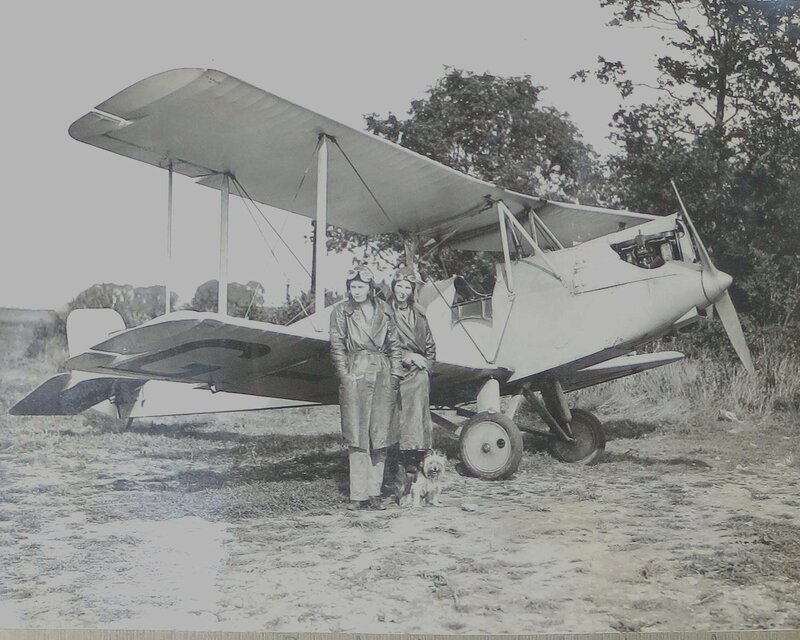 In 1931 British Pathé News made a film about Pauline Gower and Dorothy Spicer captioned “A New Job For Eve.” It features them in action with their Spartan Aircraft G-AAGO. It can also be viewed as a series of stills. This link will take you to it. “I would fully support the idea of a revival of some sort of memorial for Dorothy and am happy to contribute in any way I can. There is a very interesting story that is somewhat hidden in my book (Harvest of Memories). Namely the extraordinary way in which Pauline’s and Dorothy’s lives paralleled each other, which includes the deaths of their parents and that of their own. You can read Pauline’s and Dorothy’s story here.